Cricket Switzerland's league chairman has announced Cricket Switzerland's intention to partner with CricHQ as of 2016 to manage player registration, the CSPL & Pickwick Cup competitions and all internationals. Cricket Switzerland will sign up to CricHQ's cricket management services to manage fixtures, umpire allocations, point allocations and automated draws for competitions. Once the games are completed, clubs can upload scorecards from their own club account, and published on the Cricket Switzerland website using iFrames. 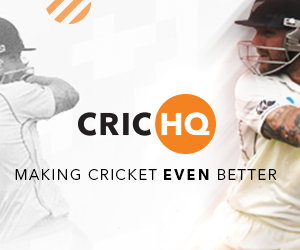 The current player registration and player transfers will also be replaced by CricHQ. Clubs will be required to enter player registrations online at which time the system will issue a registration number (unique ID) to each player and clubs will be automatically notified. In case of a player transfer both the clubs and league chairman will be notified via email. Additionally, clubs will be provided with CricHQ apps which they can use for scoring matches on their phone or laptop. These can also be performed live. In an interview with cricketswitzerland.ch Asvin Lakkaraju said, "I intend to make a presentation at the AGM. Opting for CricHQ will will assist us organisationaly and help us to reduce the paper work". Further information is available from Asvin Lakkaraju and from the CricHQ website.